Not since 1972 and the Apollo 17 mission has NASA released a full shot of the sunlit Earth. This month a roaming satellite called DSCOVR sent back the photo below, which shows our planet from about 1 million miles away. NASA notes “it has not been possible to capture images of the entire sunlit side of Earth at once since Apollo 17” though there have been images over the years composed of mosaics stitched together. 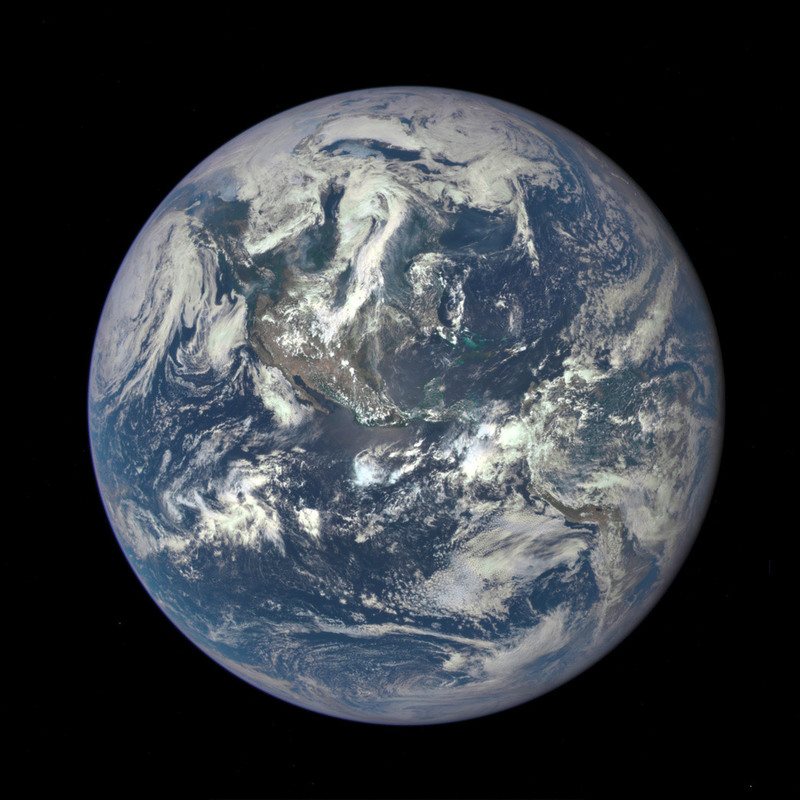 This shot is of Earth “taken at one moment in time,” as NASA poetically puts it. Beyond photos, the DSCOVR satellite will be used to measure ozone and aerosol levels in Earth’s atmosphere, cloud height, vegetation properties, and the ultraviolet reflectivity of Earth, NASA cites. Learn more about the Deep Space Climate Observatory (DSCOVR) satellite and its mission on NASA’s site. The entity hopes to release more (and even better) whole-Earth photos beginning this fall.